Have you ever stopped to consider what exactly your water filter system is filtering out of your water and what it is leaving behind? Once upon a time water was just water. You drank it from a tap without thinking about what might be in it and just knew that it was good for you. Then came the bottled water revolution. Astounding, as it once was, actually purchasing water has become commonplace and now the population does so en masse without giving it a second thought. This revolution gave rise to the recognition that all water is not the same. Or more accurately, the possibility is that it’s vastly different. With the environmental movement following close behind the bottled water revolution (motivated by all those empty plastic bottles full of BPA’s), the need for a convenient, safe and fuss free water source in the modern world was born. Enter stage left our next hydrating hero, the at-home undersink water filtration system! Originally bulky and large, the systems of today are far more sophisticated and svelte than those early models. Generally speaking their inclusion in most modern households is common but the question should still be asked: What do they remove and what do they leave behind? The truth is while it is almost always beneficial to have you water filtered, under sink water filtration systems are not all created equal and some are certainly better than others. Let’s start first with what’s likely to be in your water and what is good to filter out to give you clean, clear, fresh tasting and safe water. It boils down to: bacteria, chemicals, and heavy metals. All water sources, mains water, bore water or rain water, have a variety of chemicals, bacteria and heavy metals in them and long term they can affect your health, your skin and hair and the taste of the water. Most of the bacteria found in the water we drink are harmless. However, bacteria commonly found in drinking water creates conditions which enable other potentially harmful bacteria to thrive. Biofilms can form on all water pipes which is normal and this bacterium is usually not harmful. The problem that arises is that biofilms can also be a safe place for harmful bacteria such as Escherichia Ecoli, Giardia or Legionella to hide, essentially creating a breeding ground for other, more harmful bacteria. If the bacterial growth is too heavy, it can break off into the water flow, which at best can make water discoloured or taste unpleasant and at worst can release more dangerous bacteria. 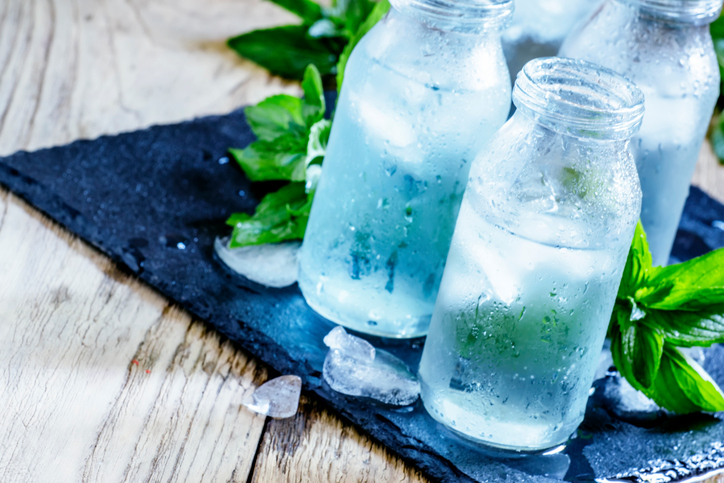 By filtering your drinking water you are removing this bacteria and removing these potential health threats and increaseing your chances of boosting your immunity, gut health and skin health. In South Australia, we entrust water treatment facilities with the responsibility of providing safe drinking water, but they only test and regulate a stipulated number of contaminants. Some chemicals are deliberately added to the tap water for specific purposes including the disinfection process, which is used to rid the water of harmful micro-organisms. However, although these additives may do this particular job, they are not always good for our health and may also create other risks. Water fluoridation commenced in Adelaide in 1971. Currently 90% of the state’s communities have access to reticulated water with accepted levels of fluoride. There is a lot of controversy on this topic. Many countries including Australia, choose to fluorinate drinking water due to the belief it acts like a repair kit for teeth. There is strong opposition though, due to the fact that fluoride can also cause damage to general health, compared to its purported benefits for dental health. The Fluoride Action Network have cited numerous studies that link fluoride in water to several known health issues. There are a growing number of developed countries that had previously implemented drinking water fluoridation but have cased the practice in the light of new research. You may wish to undertake your own further research on this topic. Waterways believes that in today’s world where teeth are brushed regularly with toothpaste containing fluoride, removing it from water is beneficial for long term health. Chlorine is a chemical that comes in several forms and is used to disinfect water in salinisation treatment plants and swimming pools. The Chlorine is a pungent smelling gas known to irritate the nasal passages, but this chemical is can work effectively to destroy pathogens found in water to reduce the risks of waterborne diseases such as typhoid, viral hepatitis, cholera and salmonellosis. At Waterways we believe that if this chemical has done its job in the water, it’s a very good idea to remove it before drinking it! These are also worth mentioning. These are harmful by-products from when the chlorine reacts with organic matter in the water. It seems strange that metals could be in water, but unfortunately some are soluble and represent more nasties lurking unseen. The most common are: lead, copper, arsenic, chromium, mercury and nickel. None of which in any quantity represent a part of any balanced diet and long-term consumption in any quantity could compromise health. The inclusion of lead in water is particularly alarming. Lead dissolved in water comes from old pipes and rusty metal fixtures and does not cause any changes in colour, smell, or taste, so you really don’t know it’s there. If you didn’t already know, lead is extremely toxic, and in particular it can affect the neuromuscular system causing symptoms ranging from abdominal problems and fatigue to cognitive decline and irreversible brain damage. It is also worth considering other contamination risks that can also enter the waterways from industrial effluent directly emptied into the ground water systems or from contaminated soil. Like most industries, water filtration has levels of quality. Put simply the very best water filters will remove all of the above from your water and others will remove some of it. Waterways have the technology to be one of the best. At a minimum an under sink water filtration system should remove organic chemicals, dirt and sediment, chlorine and provide clear, clean and fresh tasting water. This is the standard of most domestic systems on the market today. This is a great start, but at Waterways we strive to do better than the industry standard. As a true water expert, Waterways provide a range of options for our customers, some of which are vastly superior to the industry standard and very affordable. These options include under sink water filtration systems that remove the all of the chemicals, bacteria and heavy metals we have talked about in this blog. Waterways also have whole-of-house systems, water softeners and other exceptional water technology options to provide complete water health solutions depending on needs. For the ultimate in water filtering power, and for the safest, cleanest, clearest and freshest tasting water available speak to a Waterways expert today. Because to us it’s more than water, it’s about long term health and well being. Waterways, quality ways with water. To find out more or to speak to a Waterways expert call 8186 0189 or visit www.waterways.com.au.